Our leader Francesca Barritt curates this evening’s performance exploring a series of pictures in sounds. From Biber’s Sonata Representativa in which the violin imitates animals through to Enescu’s Impressions d’enfance based on the composer’s earliest childhood memories. 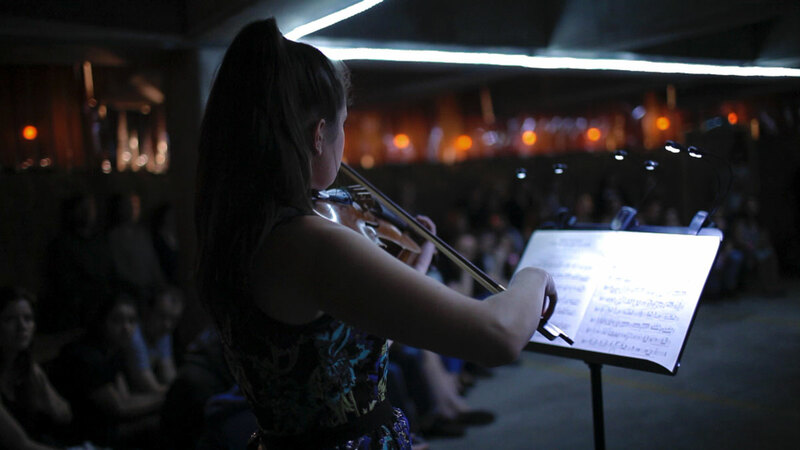 The performances will be accompanied by visuals created by young artists in Peckham – exploring both literal and abstract responses to the music.